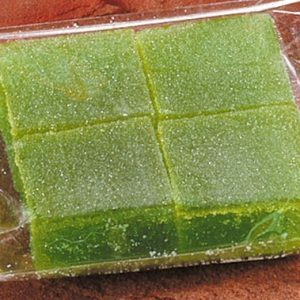 Save on our regular flavors in irregular shapes! 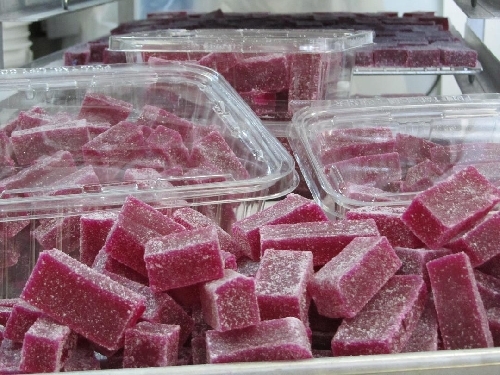 Made the old-fashioned way, sometimes our candy ends up being a little irregular in size and shape. 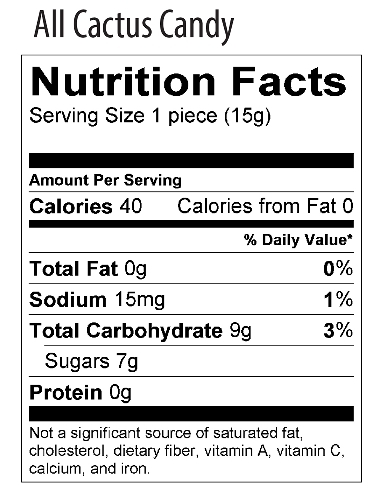 We are able to sell these tasty tidbits to you by the pound at a significant savings. 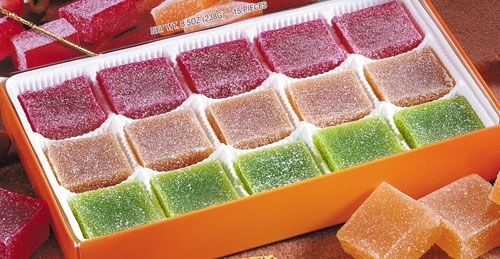 Our same delicious fruit candies are now loose packed in clear plastic containers to enjoy at home for anytime snacking or to be cut up into smaller pieces and added to your favorite fudge, cookie, trail mix or ice cream recipes. Enjoy! 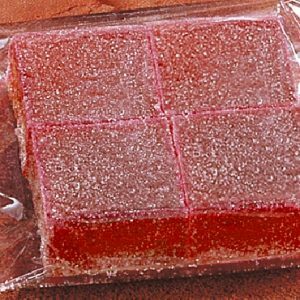 This deliciously soft, sweet and tart candy is made from the juice of the pomegranate fruit, a popular fruit that has been enjoyed by people in the Middle-East, Europe and Far East for centuries. 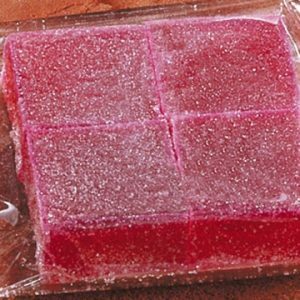 12 pieces of Prickly Pear candy packaged in a colorful box suitable for gift giving. 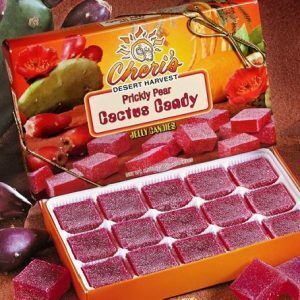 A delightful combination of three all-natural specialty jelly candies – Prickly Pear Cactus Candy, Pomegranate Candy, and Margarita Morsels – in a colorful gift box. A memory of a Margarita drink inspired Cheri to create this exceptional candy complemented with tequila, triple sec and fresh citrus.